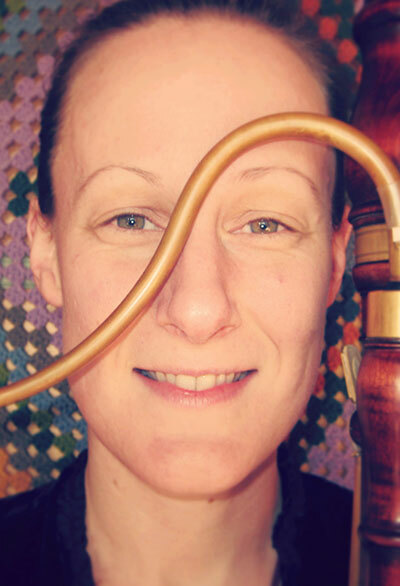 Simone Walters relocated to Hobart in 2012 from Perth where she was Principal Contrabassoon with the West Australian Symphony Orchestra. After completing a Bachelor of Music at the Victorian College of the Arts in 2004, Simone successfully auditioned for the Sydney Symphony Orchestra’s Sinfonia program, which led to post graduate studies with Matthew Wilkie at the Sydney Conservatorium of Music. In 2009 Simone traveled to Moscow and Paris as a member of ELISION Contemporary Music Ensemble, as well as to the USA with the Adelaide Symphony Orchestra where she performed at New York’s Carnegie Hall. Simone’s freelance work includes engagements with all of Australia’s professional Symphony Orchestras, the Australian Opera and Ballet Orchestra, the Australian Chamber Orchestra and the Hong Kong Philharmonic. In 2013 Simone was invited to perform with the Australian World Orchestra in their season under conductor Zubin Mehta. Simone has also appeared as concerto soloist with the Hobart Chamber Orchestra. In June of 2015 she was a participant in the Tafelmusik Baroque Summer Institute in Toronto, Canada, and in 2016 the Baroque Academy of the Mornington Peninsular Summer Music Festival directed by Julia Fredersdorff and Enrico Gatti. Simone was awarded the ‘Mr and Mrs Gerald Frank New’ Winston Churchill Memorial Fellowship in 2015 for study of Baroque bassoon performance practices in the UK, Netherlands, Switzerland, Italy and Germany and in 2016 commenced a PhD through the University of Tasmania in historical bassoon performance.